I have been challenged over the few weeks we have been in Palmerston in the Northern Territory by a little bird that has been making itself hard to photograph. It has been silent as I pass by a big patch of bamboo at Marlow Lagoon every day I walk by, which I can understand because it has been hot and why waste energy if you don’t have to! 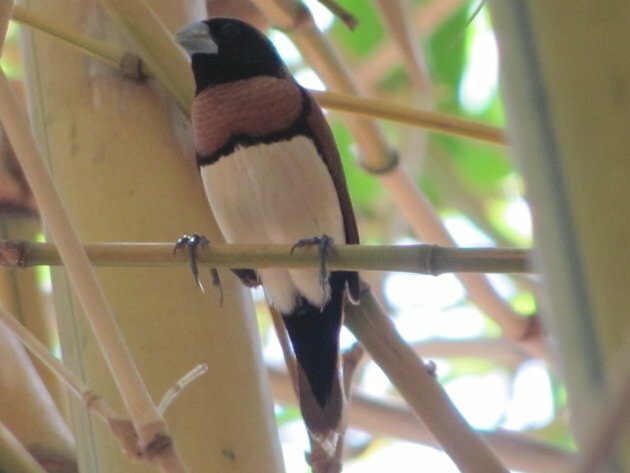 This little bird is a Chestnut-breasted Mannikin and it is a good example how a few colours can make for a beautiful little bird. 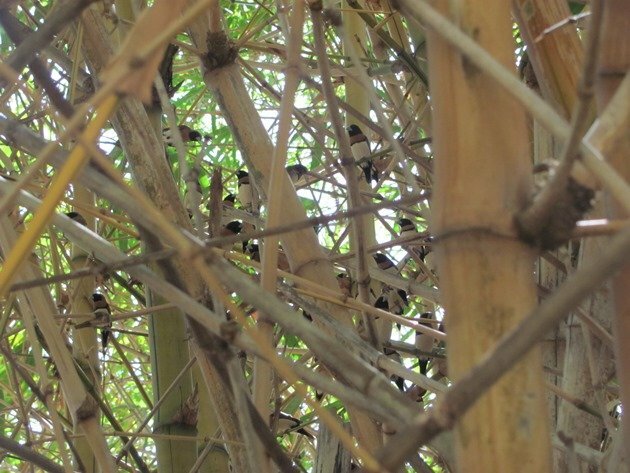 There is always a large flock of them in the bamboo and they peer down at me when I look in. 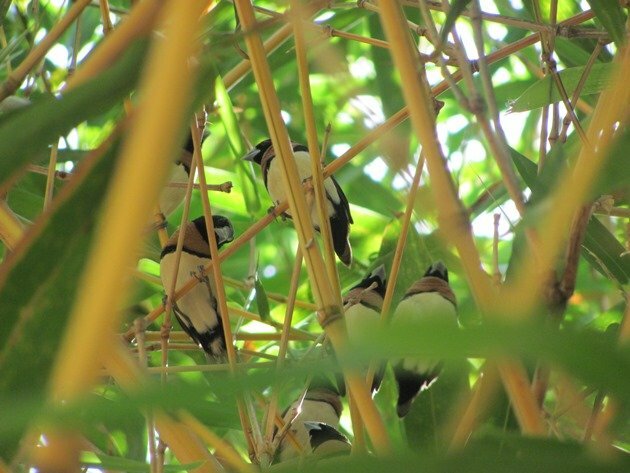 Trying to photograph a flock of Chestnut-breasted Mannikins in a big patch of bamboo is near impossible, but I have tried. 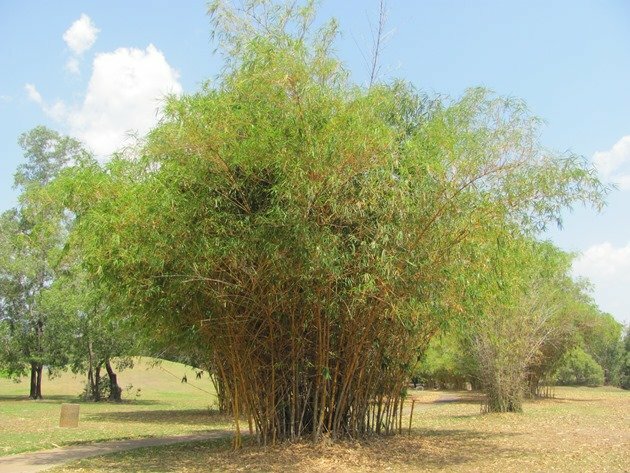 Bamboo is perfect for them, because it offers protection, shade and the breeze (if there is one!) can pass through. 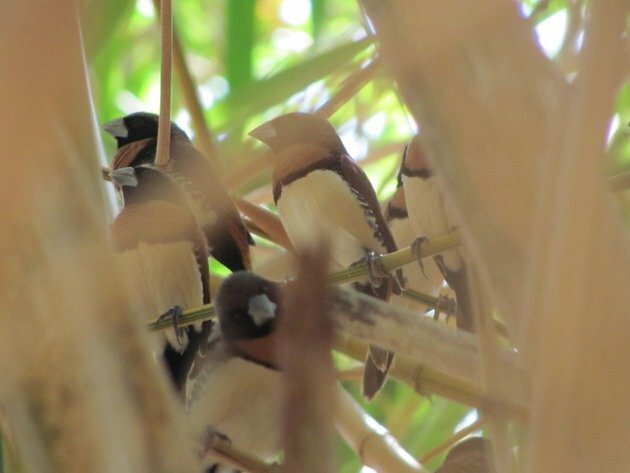 Trying to photograph Chestnut-breasted Mannikins in the bamboo! 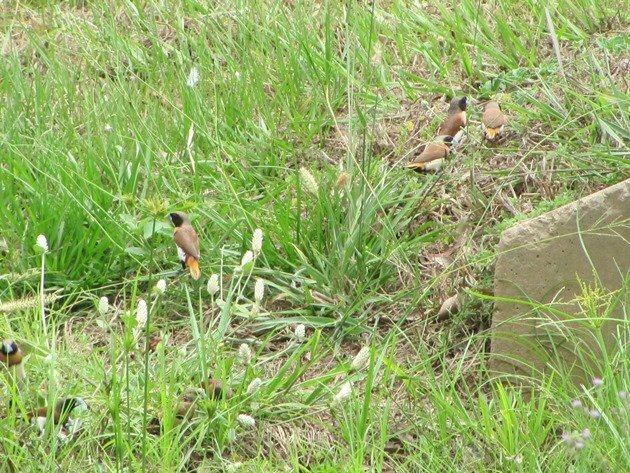 My daily bike ride is usually a large loop around the city on one of many bike paths and it enables me to see the changes in the birds as well as some fresh outdoor air. There is a lot more shade here in the north than there is at home in Broome and with the large variety of trees along these bike paths I have encountered some great birds in recent weeks. 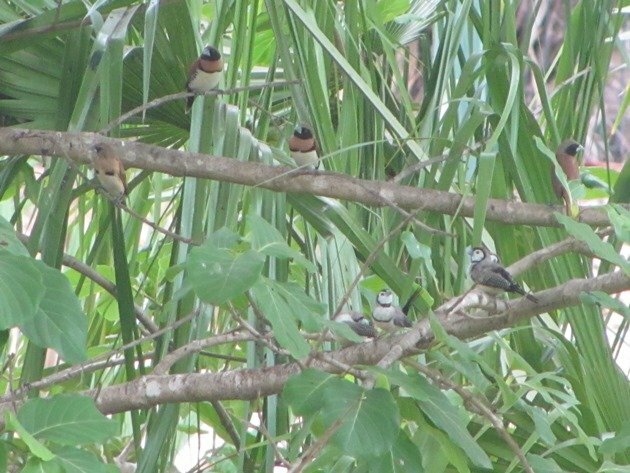 I have observed the arrival of the Dollarbird, Eastern Koel and Spangled Drongo and there are few trees that don’t offer a bird encounter. 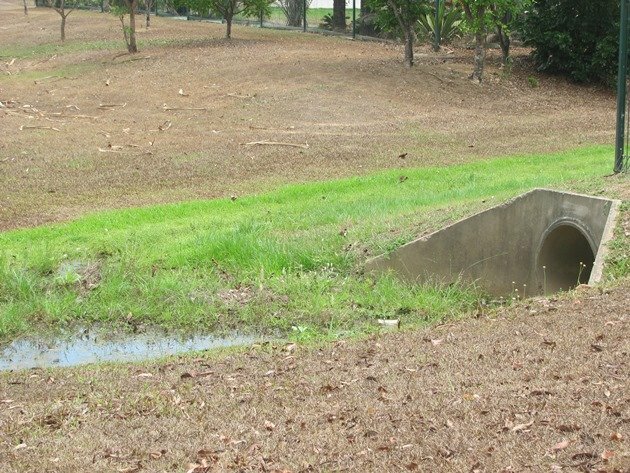 The drain system is required to be very good in the north of Australia due to the torrential rains that will soon arrive. These rains are heavy and there is no need for a house to have a gutter, because gutters will just not cope. We all have wide verandahs to shelter under and enjoy those tropical storms and gutters are a feature we just don’t need. There are drains with trickles of water in them at the moment, which is mainly overflow from reticulation. I always cycle slowly as I go by these drains and I look carefully for any movement. 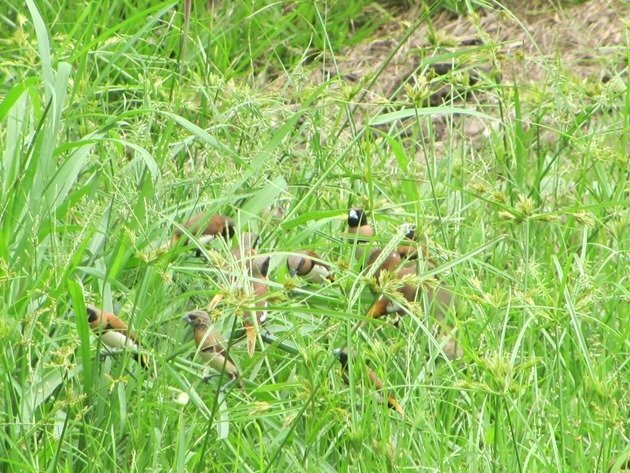 When I had the good fortune this week to find a drain with Chestnut-breasted Mannikins feeding on the grass seeds along the edge I was more than delighted! I finally had the opportunity to see them a bit closer and the chance to take more photographs. 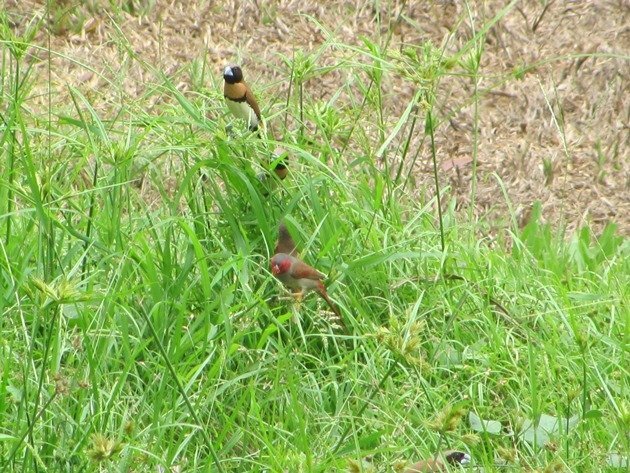 It was a lovely flock of mixed age birds and there are often other birds among the flock. 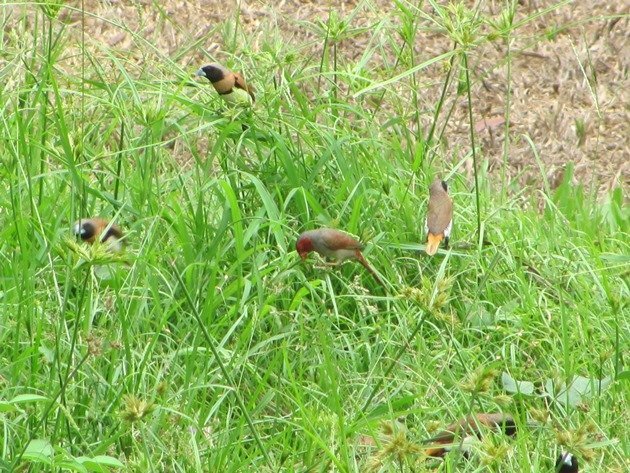 On this occasion I found there were Double-barred Finch and Crimson Finch in the flock, but the majority of the flock was Chestnut-breasted Mannikins. 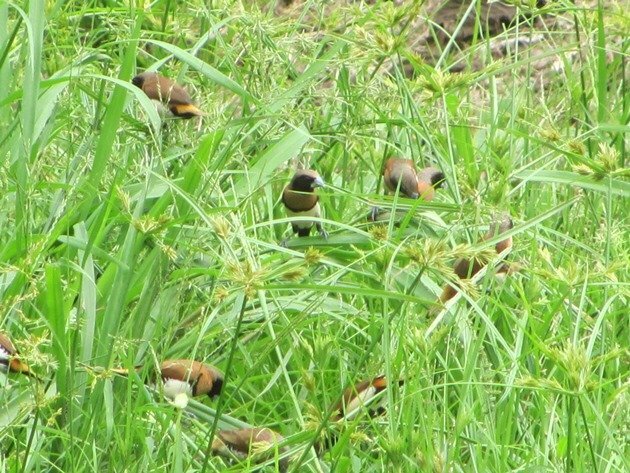 They were relaxed as I stood beside the drain and continued to feed on the grass seeds and drink from the small amount of water that was present. 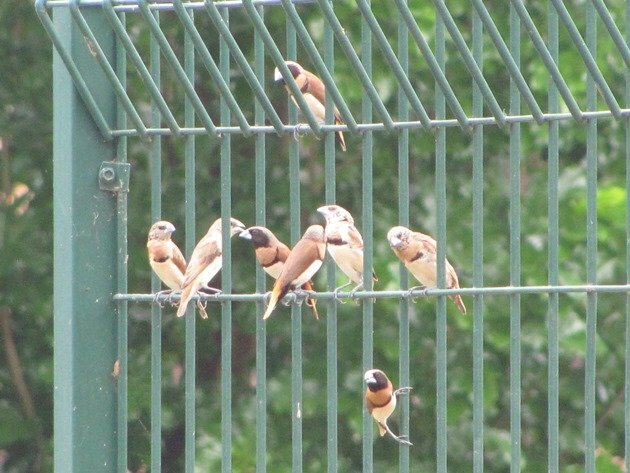 In fact they were so relaxed that some of the Chestnut-breasted Mannikins flew up onto the fencing above the drain. The light was far from perfect in that direction, but you can see the variety in their plumage. Now, this is the suburbs and like a lot of suburbs around the world there are stray objects in drains. Although this drain is a few kilometres from the supermarket there is still a shopping trolley in it. I was intrigued that the birds thought it was useful to them and used it as a safety feature as they approached the water. 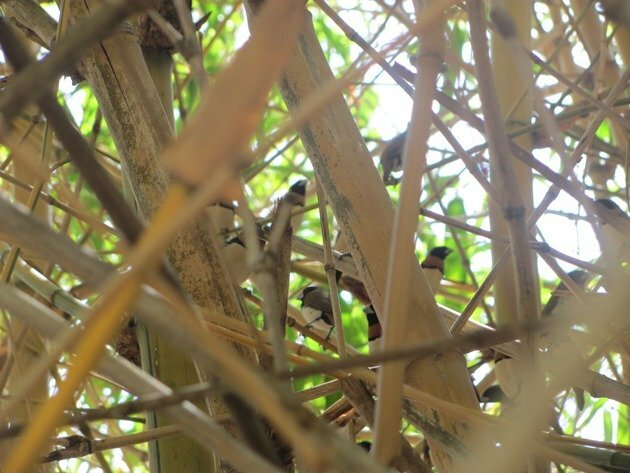 A lot of you are no doubt familiar with these finches and mannikins being caged, but this is a “cage” in the wild! 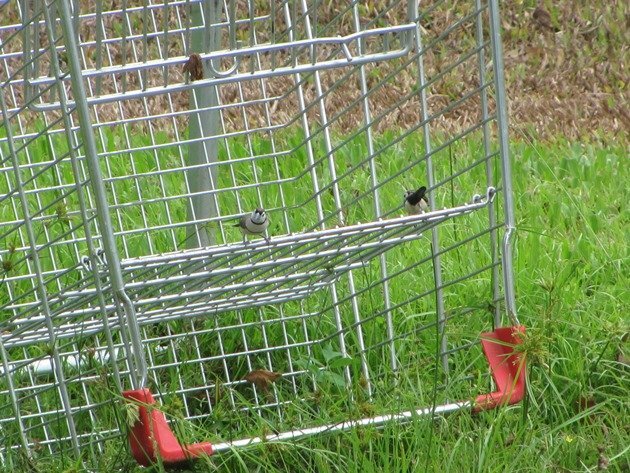 Double-barred Finches in a shopping trolley! 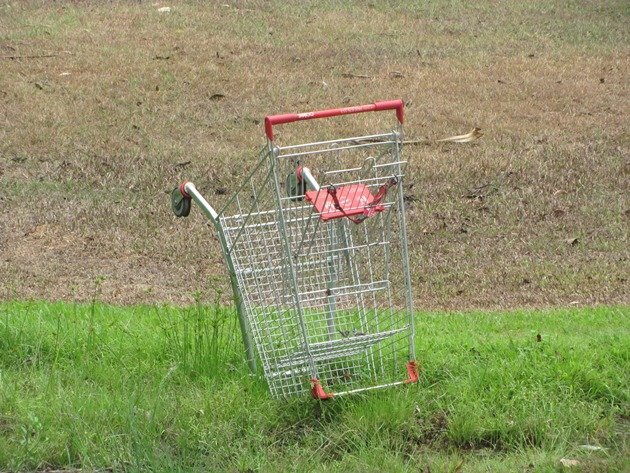 So, next time you go by a drain and you see a shopping trolley and have a little grumble to yourself just stop for a moment and check….maybe there are birds in that drain with the shopping trolley! Your posts are always a treat, Clare! I can feel that NT heat radiating through your photos, even as we head into fall here in California. The Mannikins are so handsome – thanks for sharing and hope the rains come soon. Thanks, Karen! We have been told the rain may be tomorrow! We will wait and see! Wow, beautiful birds! Indonesia has plenty of Munias/Mannikins, but I don’t think they can rival yours. 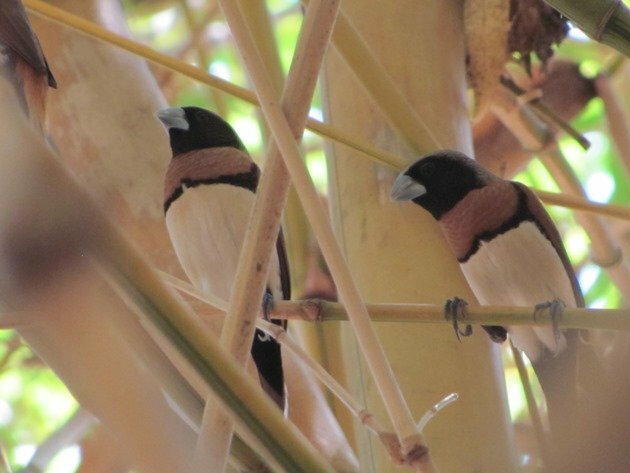 Such nice finches in Australia!